Talao is the public Ethereum-based decentralized platform dedicated to talent. It gives talent access to a panel of companies asking for their expertise, and allows them to build a community-based reputation. Talao gives talent access to a panel of companies asking for their expertise, enables them to benefit from smart contract-based payments, and allows them to build a strong community-based reputation, thereby possibly disrupting the traditional working industry by eliminating its middlemen. Talao is the move to Ethereum blockchain for eMindHub, a talent centralized marketplace created in 2015. 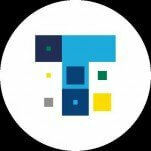 The Talao target architecture are a set of Blockchain dApps based on smart contracts of a public Blockchain possibly associated with off-chain data and off-chain programs. Off-chain data and programs must be then indestructible and tamperproof to reach DAO standards.